We all rely on agriculture every day--from food we eat, fibers our clothes are made of, and other materials we use each day to agriculture's relationship with our environment, economy, and society. But less than 2% of our population actually produces food and other products on farms, while nearly 20% of our nation's workforce is in some way, shape, or form involved in the processing, marketing, distribution, and sales of food and fiber products. The economic, social, historical and scientific significance of agriculture on our local and global society should be an important part of our education system. And yet, little is taught in most schools about agriculture and food and fiber systems. 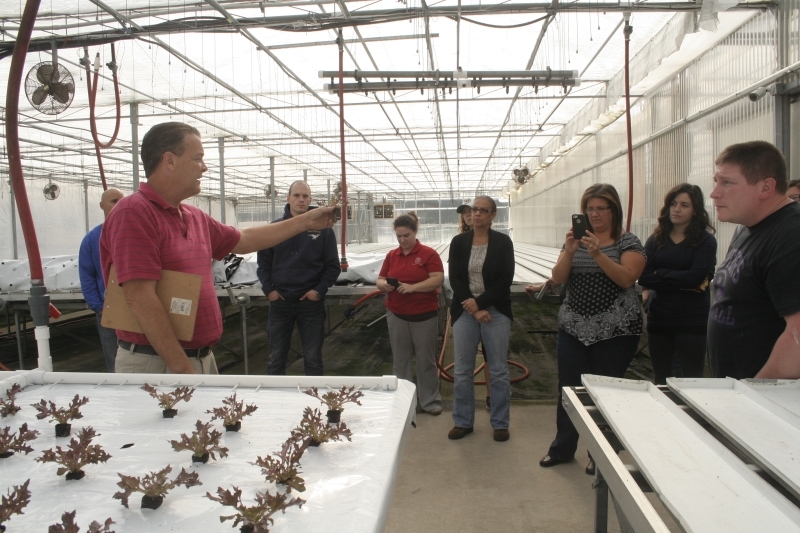 New York Agriculture in the Classroom (NAITC) was established to close that gap between farmer and consumer by giving teachers opportunities and resources they may not have otherwise had or felt comfortable teaching in their classrooms. They have been traveling around New York State providing a solid foundation of agricultural education to teachers through the Agricultural Literacy Academy. Thirty-two teachers from districts across Long Island participated in the Agricultural Literacy Academy, an established program that hosted a 2-day training seminar for educators providing teachers with a toolbox full of techniques, curriculum, and ideas for integrating food systems into their schools using the current Common Core Standards. 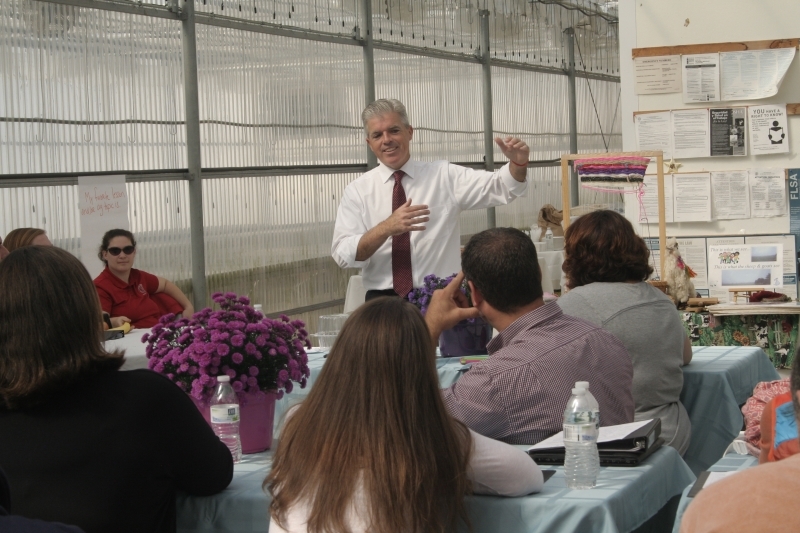 The two-day event began with a lectures and hands-on workshops which took place at Gabrielsen Greenhouses in Riverhead. Guest speakers included educators from the Suffolk County Farm, vegetable/potato specialist, Sandy Menasha from Cornell Cooperative Extension of Suffolk County, Edible East End founder and editor, Brian Halweil, Long Island Farm Bureau Administrative Director, Robert Carpenter and Suffolk County Executive Steve Bellone. The second day included tours to 3 different farms, including Wickham Fruit Farm in Cutchogue, Sang Lee Farms in Peconic and Half Hollow Nursery in Laurel where educators gained first-hand insight into on-the-farm programs for school-aged kids. Long Island teachers attended the academy from districts such as South Huntington, Mattituck, Bellport, Half Hollow Hills, Westhampton, Wyandanch, Remsenburg-Speonk, Southold, Cutchogue and Bridgehampton. 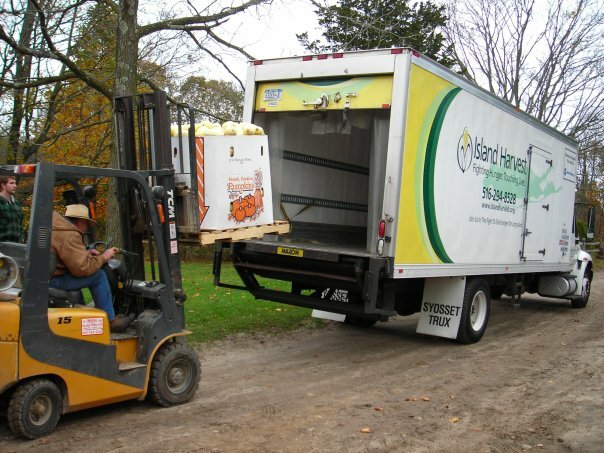 FOOD DONATIONS FOR ISLAND HARVEST. 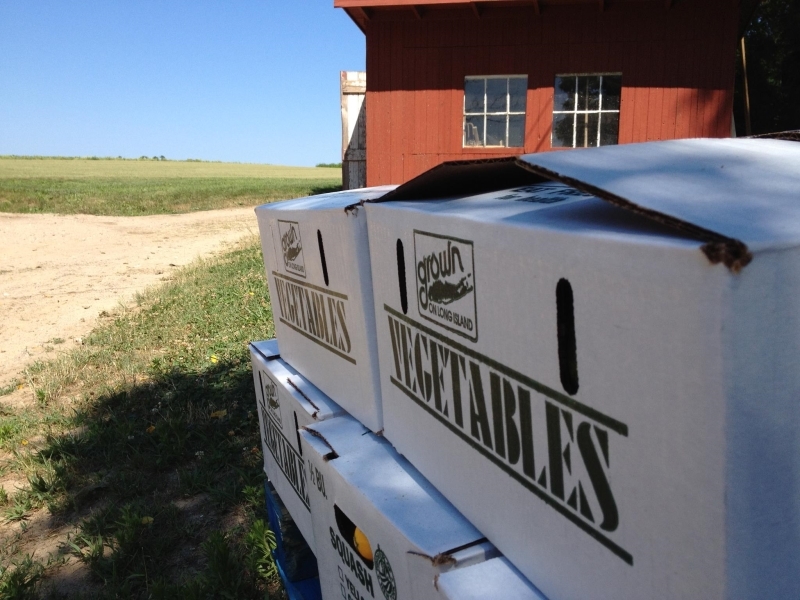 The state legislature passed a bill this year that would provide a tax credit to farmers who provide food donations to the food bank and emergency food systems in the state. This credit, for 25% of the wholesale value of the donation up to $5,000 annually, would help farmers recoup some of the labor, packaging and transportation costs that can accompany a donation. At the same time, it would encourage greater food donations from farms, providing more food to the state’s neediest families and encourage more healthy eating of locally grown farm products for long-term health benefits. Please urge the Governor to sign this bill when he receives it to help both farmers and families in New York. Here's a challenge for you! How many items on your Thanksgiving table can you buy from a Long Island grower? Some things you can buy early and pre-prepare, such as pumpkin purree for pumpkin pie. Find Grown on Long Island foods on our FIND A FARMSTAND map. If you live a bit far from the farms, in western Suffolk or Nassau County, consider searching through our FIND A FARMERS MARKET map. Plan ahead! Most Farmstands and Farmers Markets close for the season around Thanksgiving.